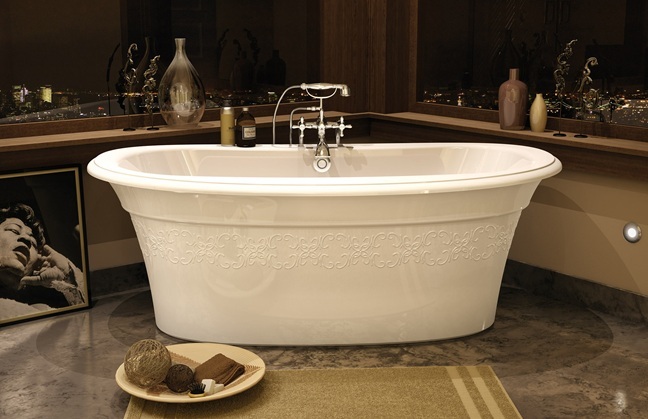 Graceful classic 66" oval bathtub with elegant embossed design. Ample deck space for versatile faucet installation. A spacious and graceful classic oval bathtub; 2-piece with concealed seam. This elegantly appointed oval soaker tub opens to give the shoulder ample range. Call 800-720-1062 for more details.